He was of the old cowboy ways, the homesteaders and ranchers who had little to sustain them other than the work they were willing to put into their land. It is said they worked an 8 hour day: eight hours before noon and eight hours after. I didn’t know my great-grandfather other than as a 79 year old man, and I, a baby. But, I know his spirit. In some unexplainable way, I feel him move in my bones and in the ancient parts of my brain, in my breath. His quiet composure, gentle diligence and determination passed directly into my father, his grandson, who bears his name. My father loves him and still dreams about him, some 40 years after his death; and because I know my father, I know this great-grandfather. The molecules of creation left a little of the same stardust in each of us. I close my eyes and think of how I define myself with horses: an innate compassion and understanding. An awe and respect and, almost, a hesitation to ride… to ask that much of this animal. A constant questioning of the fairness of ownership of a creature so fundamentally free. And I think my great grandfather must have felt this, for his blood runs in my veins. His own father was said to have been a taskmaster, a hellion, with regard only for what a horse could do for a man, its value ending there. I picture young Isidore watching this and quietly swearing this would not be his way. In the Spanish tradition, he would not disrespect his father, but neither would he be like him. He turned out to be a good man, solid of values and intentions, well educated, boot strap tough but a gentleman. His sons and his grandsons worked the land he left for them for decades. In a time where life was modernizing and the way of the old cowboy was fading, they became the stories of legends and campfires. They worked to maintain the winter ranch near Salt Lake, NM and the summer ranch they called The Gallo, the acres of mountain and rock and pastureland where they had worked cattle for generations near Quemado. 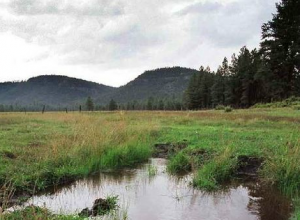 It was a month long cattle drive twice a year between these two grazing areas, all horseback. This is where my own father had to become a man as he was sent out overnight alone to find cows as a boy of 9 or 10. Here they forged their own brands and built their own homes and raised their sons and daughters, independent, hard working, suspicious of outsiders. 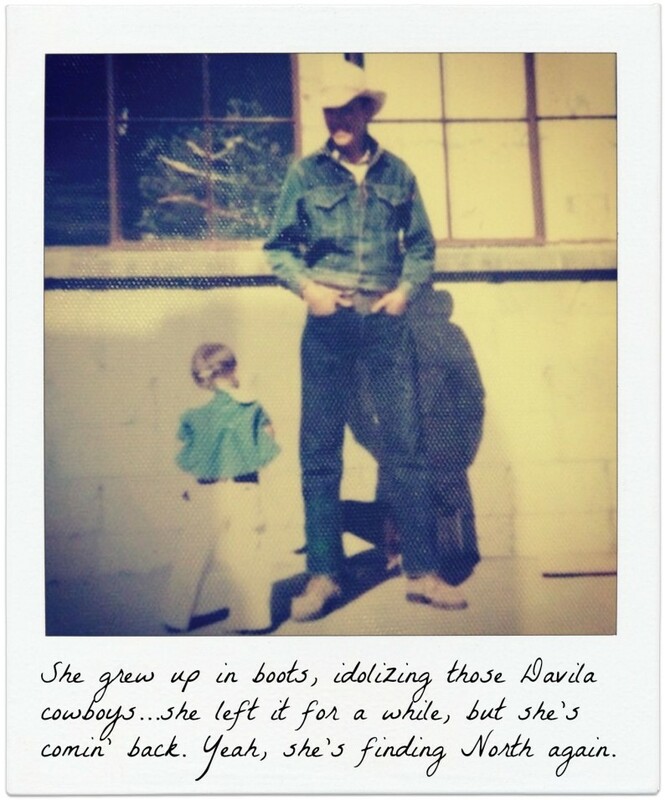 There are dozens of stories of cow thieves and outlaws, of gun-slinging and grazing rights…perhaps my favorite is of my Dad as a toddler being placed atop a colt who had only been broke an hour prior, eyes still wild and dust still settling in the pen, and Dad feeling the twitching of the horse’s muscles as he felt weight on his back for the first time. And Dad worked as a horseman as long as he could through the 1960s, often pulling one of those broncy colts or a sour mare to work cows all day in the middle of nowhere, teaching the horse on the fly to cross rivers or drag calves. …until the blood of Grandpa Davila awoke and started moving in me at 40 years of age, waking me up, singing of the beauty and grace of the Great Beast and the power of animals and the land of the West. And just as I was falling in love with a chestnut quarterhorse gelding, my father sold a small piece of the land Grandpa Davila had given him. My portion of the inheritance was exactly the price of that horse. And so Compass came to be mine (or I, his?). He leads me home every day: to my roots, to the foundation of my very spirit. And sometimes as I’m walking along, happily swaying on his back, the hair rises on my neck and I’m covered in chills. I glance back, sure that I will see the generations of Davila men riding behind me. Men of few words and few emotions, they nod and glance north, and I understand. Great story deb! 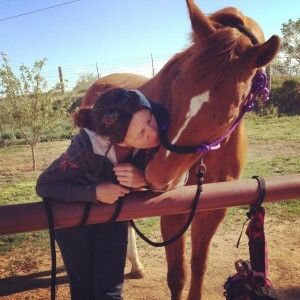 Horses came back into my life around 35 yrs of age and I can’t let go! !